I was fortunate to join quite a significant sized audience to see the final rehearsal of Northam Theatre Group’s Mad About Musicals. 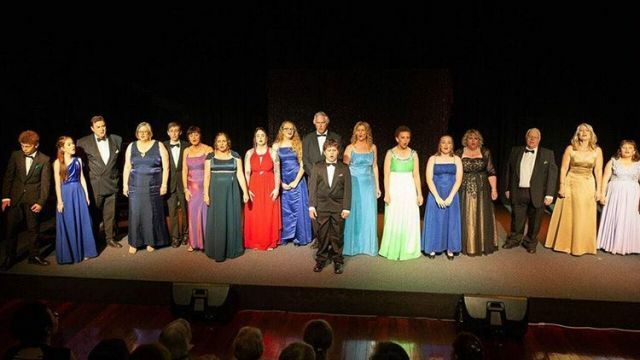 A glamorous concert, with formal suits and gorgeous evening gowns, it featured a cast of broad age and a beautifully varied selection of entertainment. Special guests at dress rehearsal, and the Saturday evening performance of Mad About Musicals, were the students from Perth Academy of Performing Arts’ Northam school. It was lovely to see a well directed, nicely performed selection from these students, many of whom also appear in the performance’s main program. A strong ensemble appear throughout, with some rousing group numbers, the best of which include the first act finale of Oklahoma!, the teens’ enthusiastic performance of “Summer Lovin’” and the very moving finale – “This Is Me”. The show is kept moving, by a very likeable MC, Elizabeth Greep. There are some impressive performers in this group. Jodi Ingram delights throughout, with her version of “Send in the Clowns” particularly moving. Brittny Nun presents some beautiful numbers, with gorgeous vocal tones. Thomas Bennets performs a very moving rendition of “Bring Him Home”, while Pat Knight shares lovely baritone in “They Call the Wind Mariah” and Les Lee shows that he was made to play Henry Higgins with his performance of “An Ordinary Man”. Jennifer Duncan’s very moving “Wind Beneath Her Wings” was beset by technical issues at dress rehearsal, so she finished acapella, gaining a very well deserved ovation and Brooke Vincent charmed with “Wouldn’t It Be Loverly”. 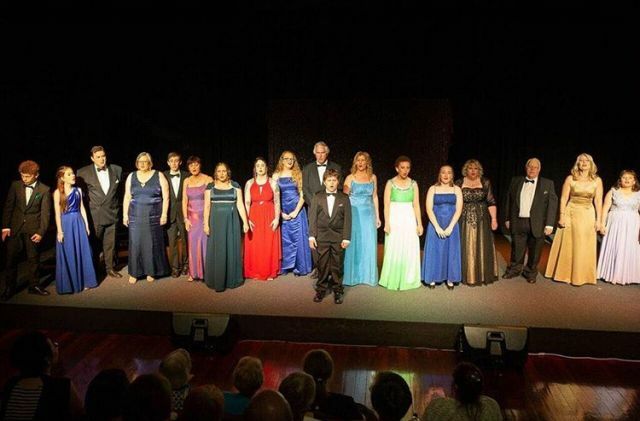 Lots of young talent coming through the ranks, especially soloists Troy Morris, Meg Jezierski, Caitlin Morris, Sophie Quin and Reece Morris, and pianist with personality Hayden Floyd. \A beautifully appointed theatre, owned by the group, the theatre is comfortable with raked seating, and this production debuts brand new sound and lighting equipment. At only an hour outside Perth, and an exciting season planned for 2019, a visit to The Link Theatre would be a lovely way to cap a day trip to the area. Mad About Musicals was an entertaining night at the theatre, with a lovely atmosphere, and a wonderful showcase of this obviously dynamic company.